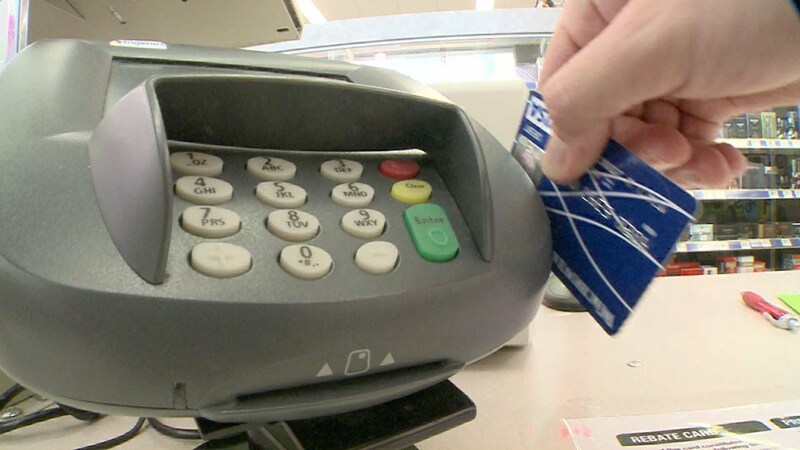 Are We Witnessing The Slow Death Of Debit And Credit Cards? HomeBlog Personal FinanceAre We Witnessing The Slow Death Of Debit And Credit Cards? Personally I love my debit card. In fact, it’s gotten to the point where I can’t imagine life without it. I used to feel sort of ashamed if I used it to buy something for less than, say, five dollars. I now have no problem at all whipping out my debit card to pay for a $1 burger as I drive through my favorite fast food restaurant. But is my debit card dying a slow death? And what’s the future of credit cards? Apple’s new app called Apple Pay could end up making both debit and credit cards obsolete. In fact, it could almost eliminate the need for you to carry a wallet. The way it works is fiendishly simple. If you have an iTunes account, you can add a credit or debt card to Pay simply by entering its security number. You say you don’t have an iTunes account? In this event, all you have to do is open Passbook, swipe down and tap the Plus sign. You can then use your iSight camera to enter the card information or type it in manually. The secret behind Apple Pay is the Near Field Communication antenna. It lets you pay by putting your iPhone near a contactless reader while having your finger on Touch ID. You don’t even have to look at your screen to verify that the payment information has been sent successfully. You’ll feel a subtle vibration and hear a beep that lets you know. Do your shopping, go to check out and then to pay all you have to do is select Apple Pay and then place your finger on the Touch ID. I guess the only way that paying for something could be simpler is if the retailer’s terminal could read your mind. When the iPhone 6 launched along with Apple Pay, the major credit card providers –Visa, MasterCard and an American Express – were already on board. A number of the country’s leading banks had also signed up including Citi, Wells Fargo, Chase, Bank of America and Capital One. This means that if you are a customer of one of these banks you can link your debit and credit cards with Apple Pay and use it at any store that accepts this new form of payment. All contactless payment requires Near Field Communication (NFC) just as does Apple Pay. This means your phone must have an NFC chip. This is true of most new Android phones as well as some Nokia Lumia Windows phones. If your phone has an NFC chip, there are alternatives to Apple Pay such as Google Wallet and the Isis mobile wallet app, which was created by AT&T, Verizon and T-Mobile. Note: These three cellular providers are in the process of changing the name Isis to avoid being confused with that terrorist outfit in the Mideast. Be aware that contactless payment works only if the retailer has payment terminals that can read its signals. Unfortunately, not all retailers have these terminals or want to upgrade to them. While Apple Pay can be used only on the iPhone 6, it’s not the Lone Ranger of walletless payments. For example, recently announced an app as an experiment where people can add cards from their favorite stores as well as gift cards and then check some of their balances on Amazon devices and Android phones. These gift cards display as a QR code or barcode so when you reach the register, the app can be scanned. Do you use PayPal? It also has some new payment alternatives that include an app that was recently updated for Android, iOS and Windows phones. It allows you to store loyalty cards such as those of pharmacies and grocery stores, as well as your standard PayPal sources. PayPal has also created partnerships with selected stores and restaurants, including Selsy and Storific. If you have the app, you can order from a restaurant that participates in the plan in advance and pay for your meal` via your smart phone. If you’re eating at the restaurant you can settle your bill via your smart phone and not have to to wait for a check and your server to come back with your Visa or Mastercard. And PayPal’s partnership with Home Depot allows you to pay at the register by selecting PayPal at the store’s payment terminals. In other words, no phone or wallet required. And there is what’s probably Apple’s biggest competitor – Google Wallet. It allows you to shop in stores with your entire gift and loyalty cards in one place. It even allows you to send money to friends and relatives, which they can spend immediately with a Google Wallet Card. Google Wallet can also be used at any store that accepts contactless payments. All that’s required is to tap, pay and then go. You can make purchases with your Wallet’s balance or use your Google Card to make purchases tied to your preferred credit or debit card. Many gift card providers such as Applebee’s, American Eagle Outfitters, the GAP, Old Navy, BestBuy Chili’s, the Coldstone Creamery, Kohl’s and Whole Foods support Google Wallet. But there is a downside to this app, which you may have spotted. Unlike Apple Pay you can’t use Google Wallet to make purchases tied directly to your credit or debit card. It works only with gift and loyalty cards – at least at this time. Also, Google is a bit hazy about how you enter gift and loyalty card information into your Wallet, However, we assume you would have to manually enter each card’s number and possibly its security code. We can see that Google Wallet could be helpful in the case of loyalty cards such as those from your favorite retailers, but we wonder about gift cards. If you had a card with a balance of, say, $25 would it really be worth entering its information into your Wallet instead of just using the card its self to make a purchase. One thing that all this makes abundantly clear is the future is already here – at least to some degree. Contactless payments are the real deal, especially if you have an Apple iPhone 6. You can bet that Google is working on improvements to its Wallet so that you will be able to link it to your credit or debit card. Then there’s the 800-pound gorilla in the corner – Amazon. It’s Fire HD phone may not be an overwhelming success at this point but you can also wager a lot that it’s also working on an equivalent to Apple Pay. It might be too early to cut up all your debit and credit cards and throw away your wallet but the writing is on the wall. Contactless purchasing is here to stay and is bound to become even more ubiquitous in the years to come. It will be hard for me but I can see that the time is coming when I will have to cut up that trusted friend of mine – the debt card.